A 23-year-old American peace activist was remembered on Saturday, 16 years after she was crushed to death by an Israeli bulldozer. Rachel Corrie was killed on March 16, 2003, while staging a peaceful protest to protect the home of a Palestinian family from demolition. #RachelCorrie became one of the top trends on Twitter on her death anniversary. Born in Olympia, Washington, Corrie dedicated her life to human rights, defending Palestinian rights in particular. She was the youngest of three children of Craig and Cindy Corrie, who described their family as "average American, politically liberal, economically conservative, middle class." 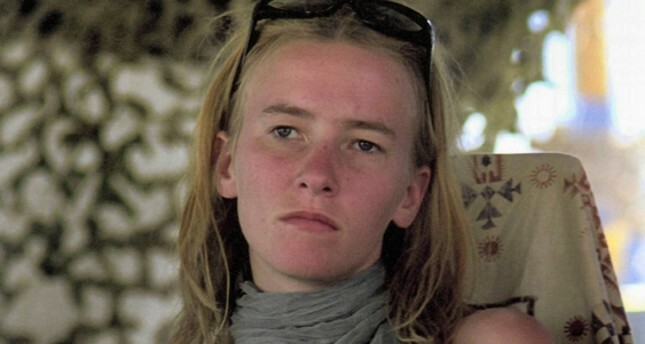 Corrie was known for her love for peace and defending Palestinian rights, frequently exposing violations by Israel in the occupied Palestinian territories. In 2003, she had gone to Gaza for her senior-year college assignment; to connect her hometown with Rafah, as part of a sister cities project. During her stay, she engaged with members of the International Solidarity Movement, a pro-Palestinian NGO. On March 16, Corrie defied an Israeli bulldozer in hopes of stopping it from demolishing the home of a Palestinian family. Corrie believed that her western features and blonde hair would deter the bulldozer, but she was wrong. She was crushed to death when the Israeli bulldozer driver ran her over repeatedly, according to eyewitnesses. The people of Gaza described her as a "martyr" and staged a massive funeral for their American friend. An Israeli investigation into her death concluded that it was an accident. Neither the international community nor Corrie's parents have accepted the Israeli explanation. In 2005, Corrie's parents filed a civil lawsuit against Israel, asserting that she had either been intentionally killed or that the soldiers had shown criminal negligence. They sued for a symbolic $1 in damages. An Israeli court rejected the lawsuit in 2012 ruling that the Israeli government was not responsible for her death. The ruling was slammed by human rights organizations such as Amnesty International and Human Rights Watch, as well as activists. Corrie has since been one of the symbols of the Palestinian cause. An Irish aid ship that set out for Gaza in 2010 named itself after Rachel and her story has been told in several documentary films portraying the plight of Palestinians.